I can't believe we're onto the 3rd one of these already, that means just 6 more to go till the trip is finally here and I promise to share more about that shortly. 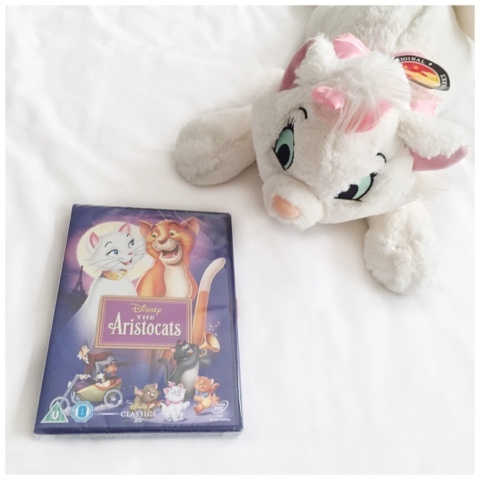 Now with it being Mothers Day weekend I decided it would be nice to have this months movie choice be one of my mums favourites, and with her all time favourite Disney Character being Marie, Aristocats was the obvious choice. When it came to menu choices I wasn't sure if I should go down the cat or the French route and seen as my sister & mum likely wouldn't enjoy Minnie's (my cat) food and treats, the French route it was. After some googling and also thinking about the delicious food we had at Chefs de France in Epcot I opted for Chicken Coq au von as mains and Crepe bar with an array of toppings for dessert, I also decided to bake some tasty Marie/Mothers day cupcakes which of course went down a treat, who doesn't love a cupcake or two? As always it was a fun evening, we watched lots of youtube videos on WDW and Disney cruises to really get us in the spirit and were probably getting way too excited for the fact we still have 6 long months to wait.